Bon Mot! version 1.2 is now available in the iTunes App Store. This update adds the ability to view recent words and their definitions. 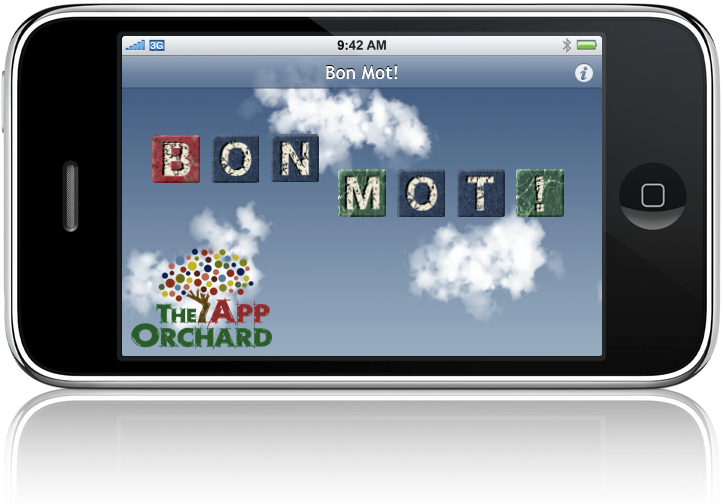 With the release of its first product, Bon Mot!, to the iTunes App Store, The App Orchard is open for business. Bon Mot is a collection of three original word games providing fun for wordsmiths of all ages and skill levels. For a quick introduction to Bon Mot, watch this demonstration video.